When Jet McDonald cycled four thousand miles to India and back, he didn't want to write a straightforward travel book. He wanted to go on an imaginative journey. 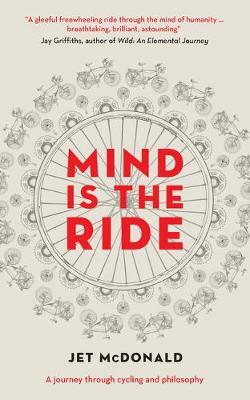 Mind is the Ride takes the reader on a physical and intellectual adventure from West to East using the components of a bike as a metaphor for philosophy, which is woven into the cyclist's experience. Each chapter is based around a single component, and as Jet travels he adds new parts and new philosophies until the bike is `built'; the ride to India is completed; and the relationship between mind, body and bicycle made apparent. Jet McDonald is a writer, musician and psychiatrist. He is the author of many articles for Boneshaker Magazine and has written for the Idler. He is a member of the Philosophy Special Interest Group of Royal College of Psychiatrists.